This week we have an engaging case from Dr Tim Aung. 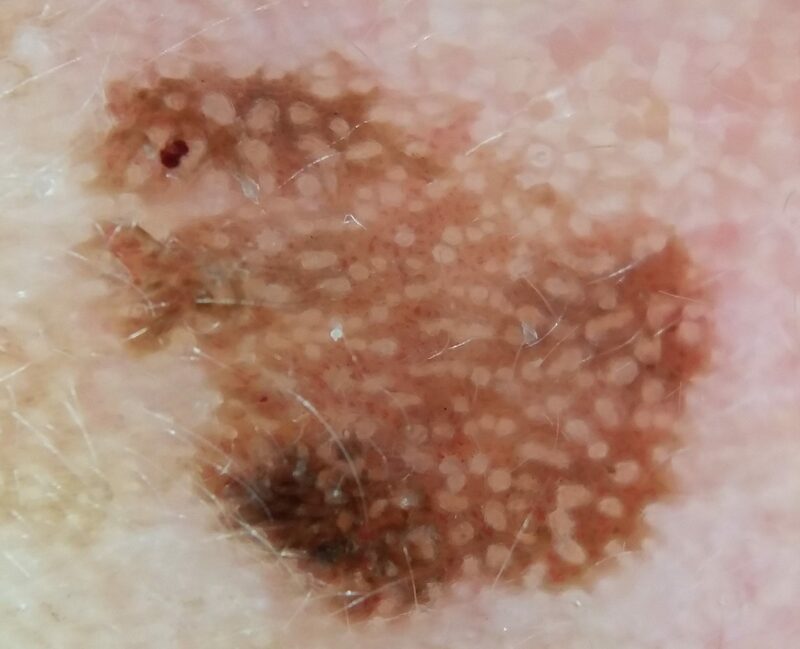 A 56-year-old male with history of melanoma presented with a growing pigmented lesion left preauricular over 6-12 months. Here are the clinical and dermoscopy images. 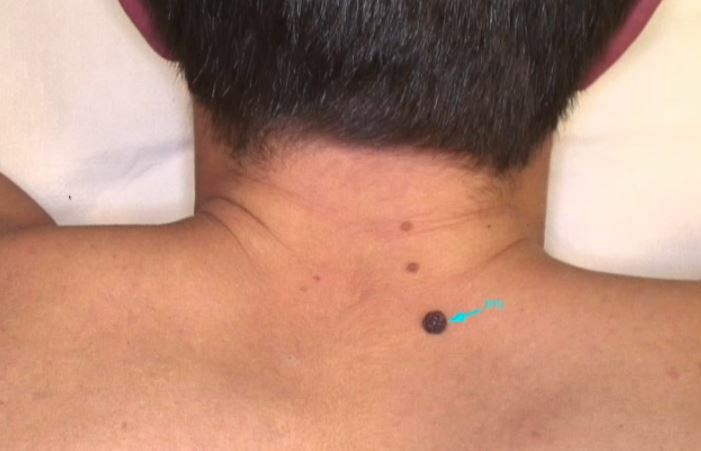 What is your differential diagnosis, and how would you biopsy? 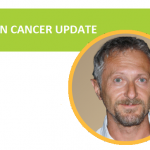 This week we have an interesting case from Dr Peter Ryan. 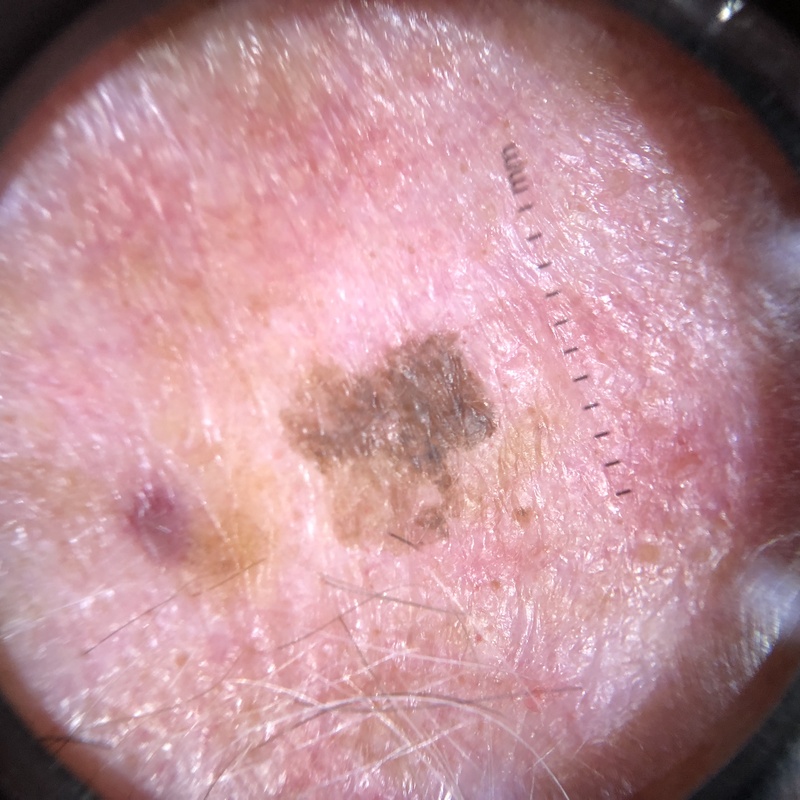 An 70-year old male had a skin check elsewhere, and advised laser treatment to pigmented skin lesion on forehead. Please review images and provide your differential diagnosis, and advice on treatment options / next steps. 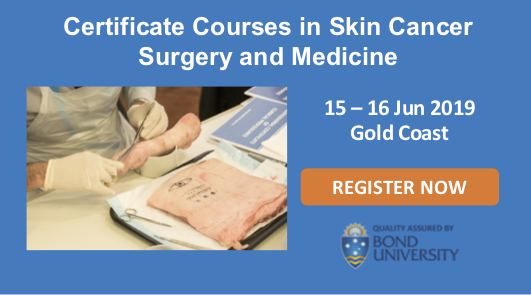 This week we have an engaging case from Dr Dorothy Dowd. 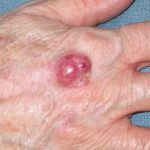 A lesion – reported as new – on an older woman’s forearm. Here are 2 images, one with the very recent scab on, and one with it removed. 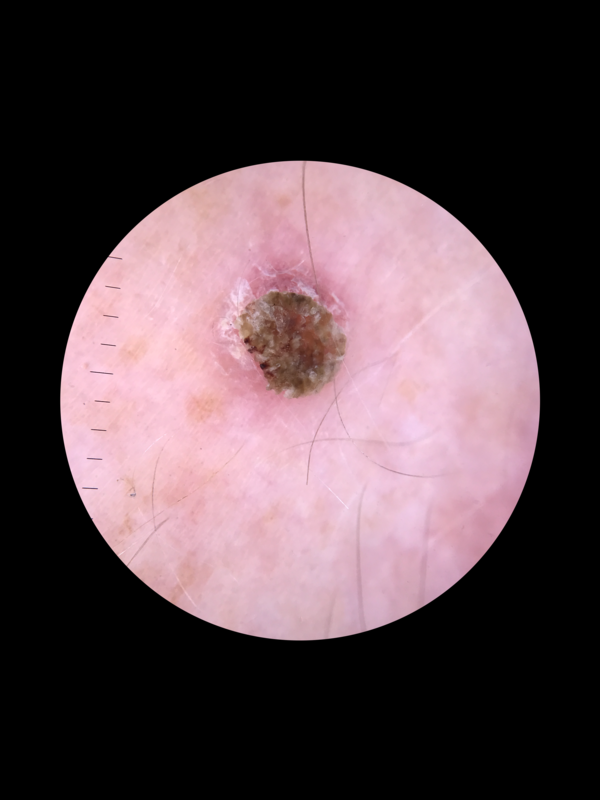 From the shown dermoscopy images, please evaluate, indicate your likely diagnosis, and method of biopsy. This week we have an interesting case from Dr Tim Aung. 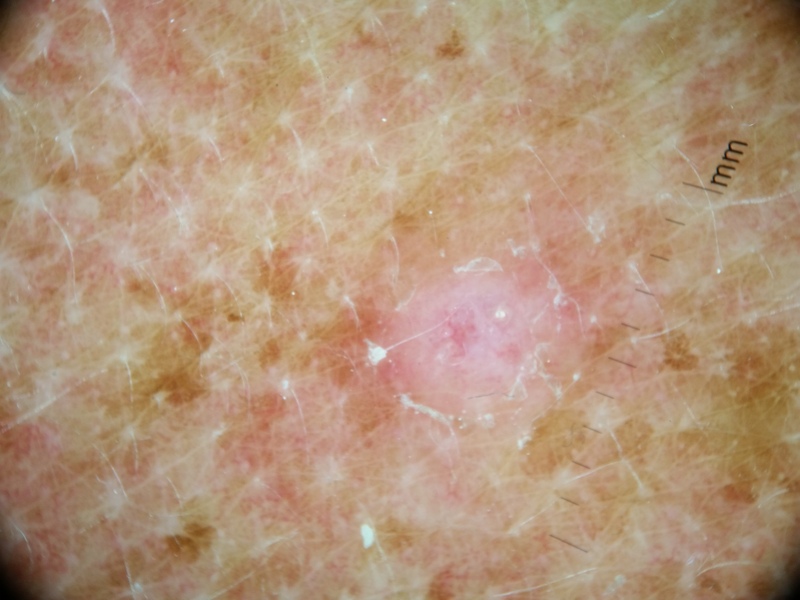 An 40-year-old male presented for a skin check and a lesion was noted. 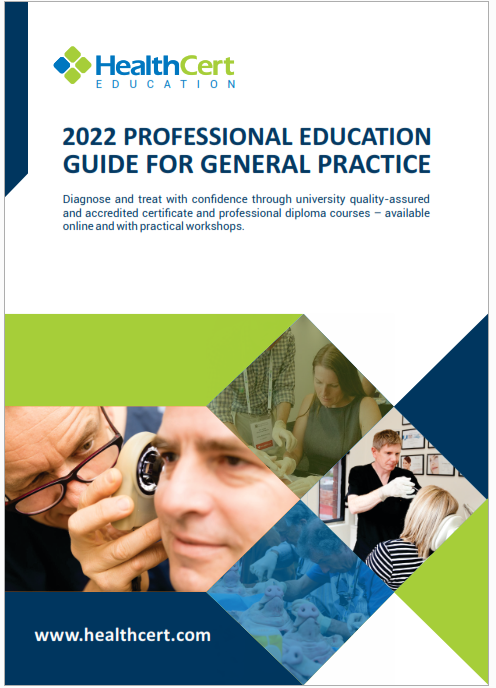 What is your evaluation of the clinical and dermoscopic images? What would you do next? 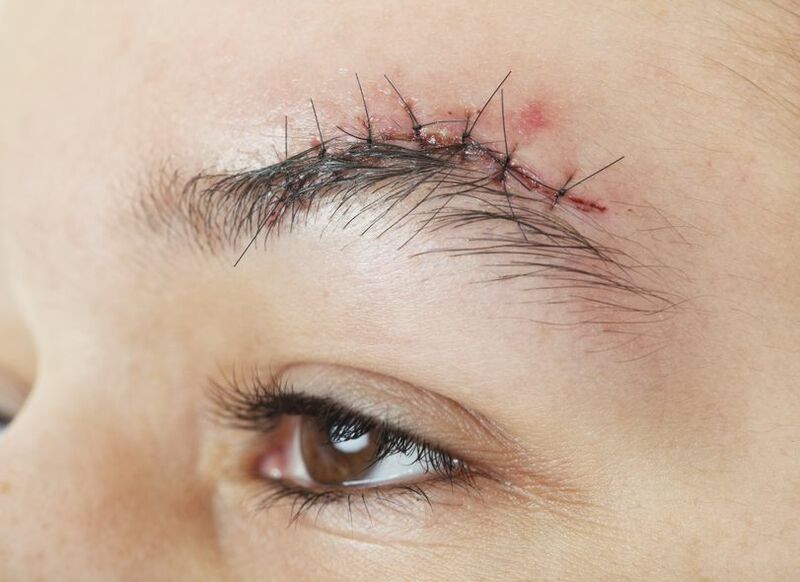 How does suturing technique affect cosmetic outcomes after facial surgery? 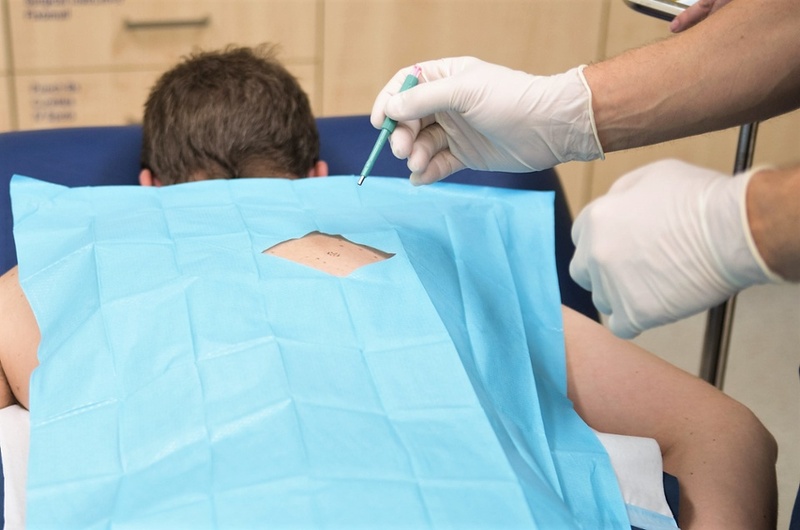 Recent research published in the Journal of the American Academy of Dermatology sought to compare the cosmetic results of simple interrupted sutures versus running subcuticular sutures in facial surgery. 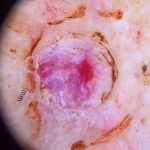 A surgical margin of at least two millimetres around a cancerous skin lesion is the minimum requirement to ensure total removal of cancer cells and to avoid the need for further surgeries, according to a study by researchers at Perlmutter Cancer Center at NYU Langone Health. 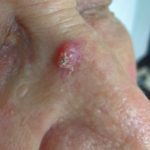 The results of a study enlisting 138 skin cancer patients was published in the Journal of the American Academy of Dermatology, and found that excising a two millimetre margin beyond the edges of a suspicious mole was best practice for complete removal. 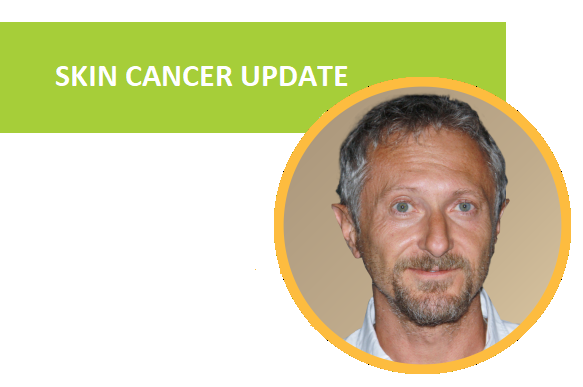 In this skin cancer update video, Associate Professor Giuseppe Argenziano discusses the revolutionary results of a study comparing lymph-node dissection with observation in patients with advanced metastatic melanoma. 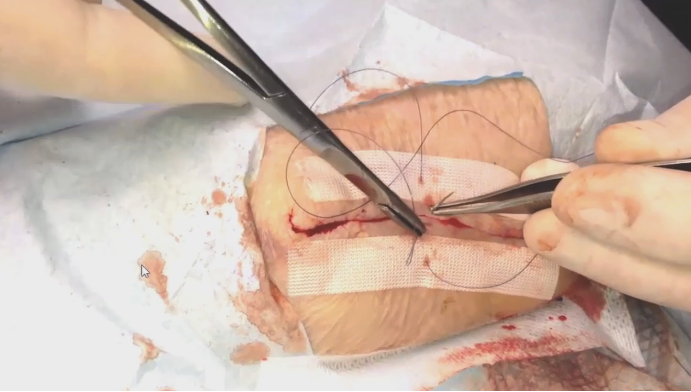 Of patients who had a positive sentinel-node biopsy, the study compared the outcomes of patients who underwent complete lymph-node dissection with the outcomes of patients who were just observed after a positive sentinel-node biopsy and did not undergo a dissection.